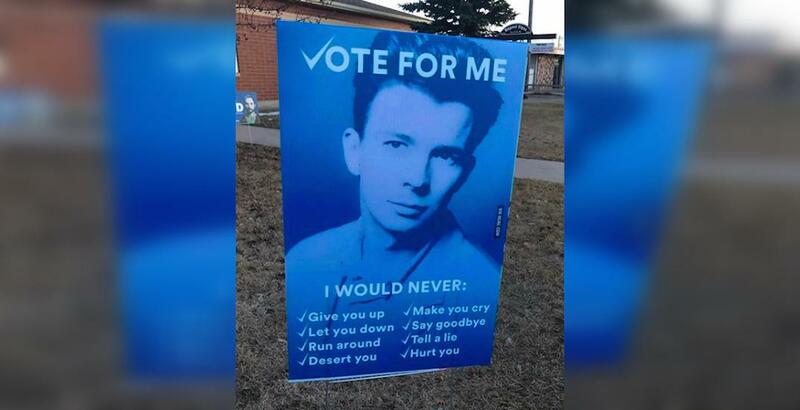 The Alberta election is well underway, and although we are being bombarded with election messaging from all directions, some Albertans are managing to have a little fun with it by putting up yard signs of their own. Scroll through the pictures to make a decision just as important as who you’re voting for — who’s lawn sign is the funniest? Who will get your vote: General Zodd, or Darth Vader? Pikachu or Pedro? Tom Riddle or Rick Astley? Be sure to share any funny lawn signs you see with us at #dailyhiveYYC!